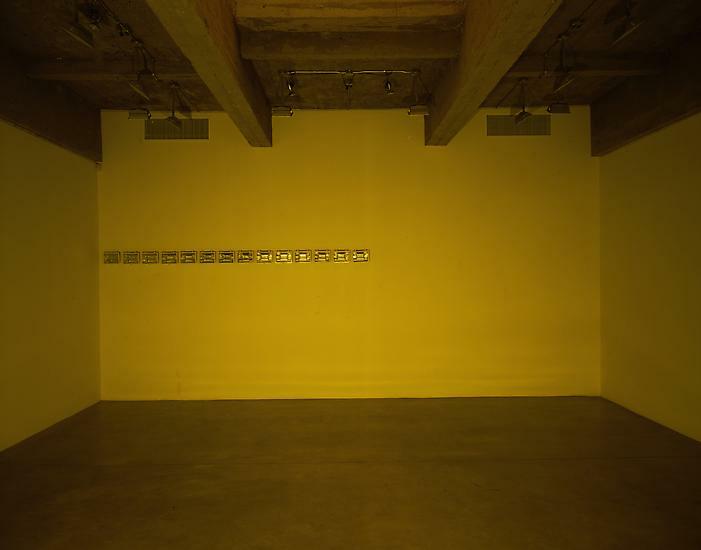 Bonakdar Jancou Gallery is pleased to present its second solo exhibition by the Icelandic artist Olafur Eliasson. For the gallery, Eliasson has created a site-­‐specific installation entitled "The inventive velocity versus your inverted veto." "The inventive velocity versus your inverted veto" forms a single, coherent sequence of opposite experiential spaces that runs through all of the gallery's exhibition spaces. 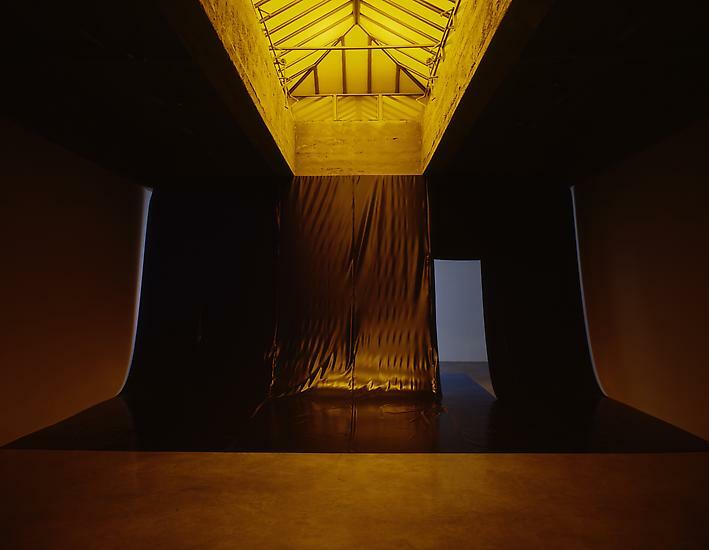 Each room of the installation serves as a contradiction to the next, as the artist shifts focus back and forth from object to viewer, metaphorical model to non-­‐representation, and architecture to physical experience. As in previous work, Eliasson has destilled sensory and natural elements for use as his primary media. 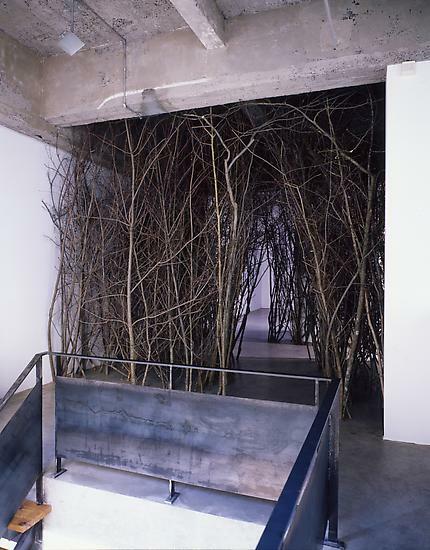 Upon entering the gallery's front reception space, the visitor is confronted with an assemblage of indigenous trees and saplings, forming a tunnel path that diverts into the two other exhibition galleries. The deciduous brush provides a sensory experience unexpected in this context, as their organic presence contradicts the controlled cultural environs of the gallery. Further, their natural structure provides an architectural alteration that makes the viewer keenly aware of the space around him. 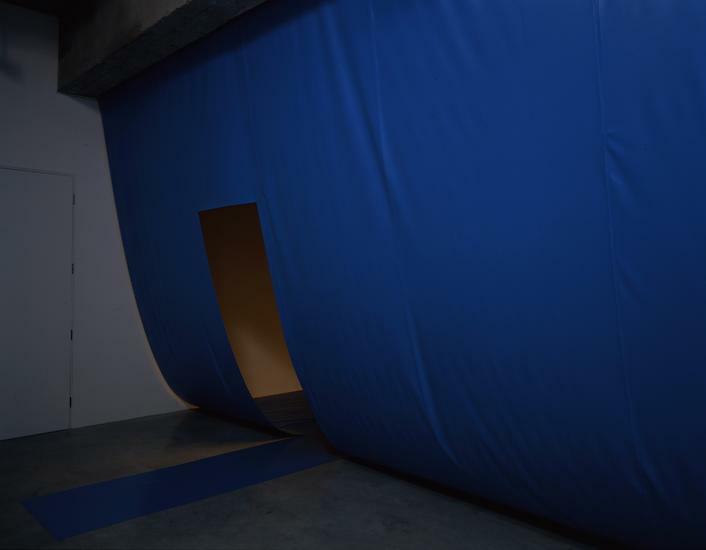 The visitor is then led to "the inverted veto," as referenced in the installation title, located in the main gallery space. 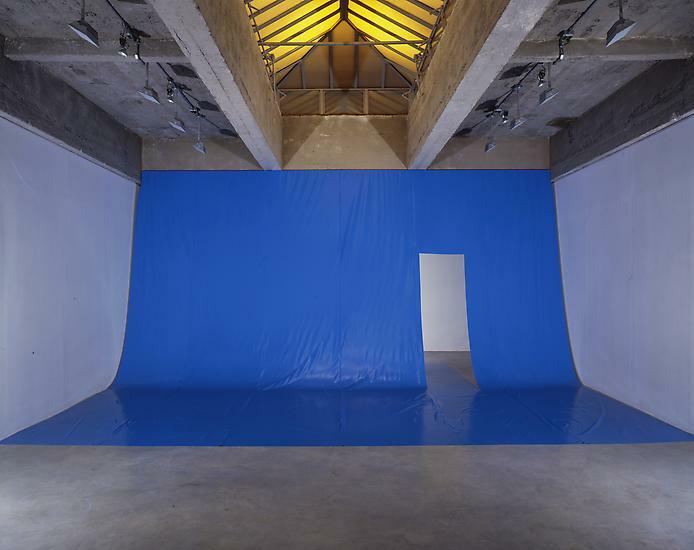 Immaterial, and definitively non-­‐representational, the focus is shifted entirely to the viewer and the viewer's perception, specifically, of light and visual information. The space is drenched with a constant monochromatic light that restricts vision to that of a single, specific color, to the point of eliminating all other spectrum frequencies. Here, Eliasson is manipulating the fundamentals of experience, and simultaneously revealing the banal properties of light and color theory. 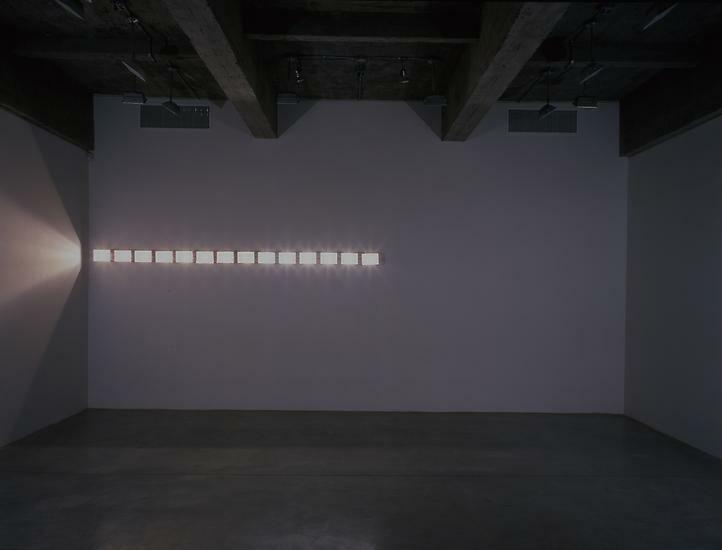 Further within this conceptual framework, the artist has installed on the back wall of the space, several powerful white lights, timed to increase and decrease in wattage at regular intervals, momentarily interrupting the visitor's monochromatic experience and allowing for a brief "normal" perceptive state. The final space in the sequence is called "the inventive velocity," referring to the unique mechanical construction found there. A self-­‐contained waterwell, it acts as a model of a metaphor. The piece references time, space and movement, but also serves as a physical device to manipulate the visitor's perception.